Desert Sage Auxiliary’s primary philanthropic program is Desert Sage Pocket Books. Short books target early, disadvantaged readers in the Clark County School District. 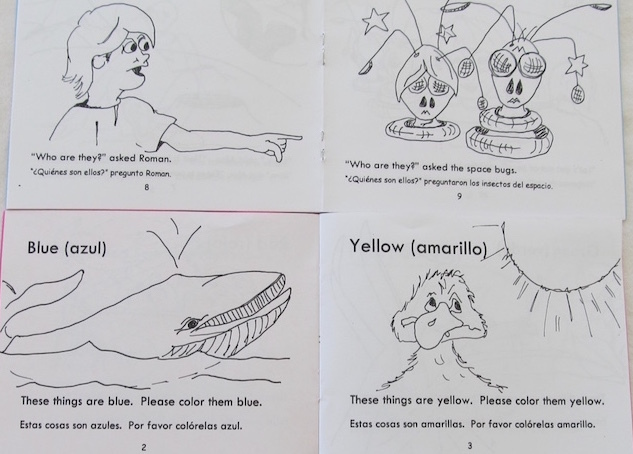 Books are written and illustrated by Desert Sage members and fit easily into a child’s backpack or pocket enabling them to have a book of their own. 70,300 books were distributed in 2017-2018. The purpose of the Desert Sage Auxiliary Pocket Book program is to provide books for children from underserved populations in schools to improve literacy, facilitate family reading experiences, and to build a child’s library. 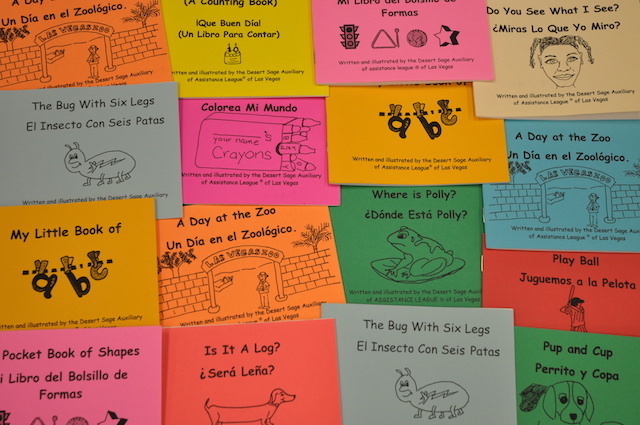 Desert Sage Pocket Books are written in English and Spanish and focus on key literacy concepts in three distinct series; emergent literature (short vowel and single word emphasis); concept books (colors, shapes, alphabet and numbers); and early readers (simple words and repetition). Currently there are 18 copyrighted books available for distribution. Desert Sage Books™ are distributed through the Clark County School District to elementary schools with a low income population of 65% or higher as determined by the free and reduced lunch program. 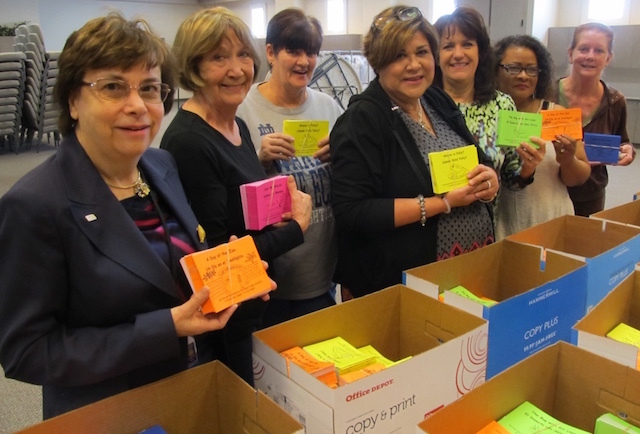 Desert Sage Auxiliary works with the Clark County School District School-Community Partnership Program to distribute the Pocket Books. The Pocket Books are approved by the Partnership Office prior to their distribution.